Barbara Cox Ring and her husband were Saint John natives and graduated from Saint John High School. Until her marriage, Barbara worked outside the home while her husband Don Frederick Ring was an accounting clerk and paymaster in the family business, Saint John News Co. Ltd., a distributor of weekly papers, novels and magazines to local retail outlets. At the time, commercial galleries were few and far between, and artists often resorted to holding their own sales of artwork. 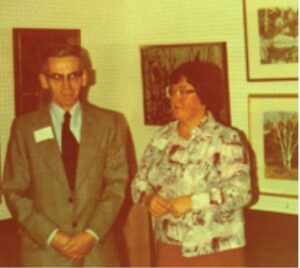 Thus, the Ring Gallery was born in the late 70’s, following a show she helped Sheila and Fred Ross organize. After Barbara’s passing, Sheila ran the gallery. The Ross’s, along with Connie and Ken Kingston, were a great support and encouraged Barbara in the early years. Barbara developed a keen eye for art in her early years, taking cues from family members and later became involved in a local art rental group. She studied under Robert Percival and pursued art courses. This knowledge was useful as she volunteered as a New Brunswick Museum docent and expanded the family’s personal art collection. She enjoyed art and organizations in which she got to know artists themselves. It was only natural that her son, Stephen, was influenced by his mother’s world. The family traveled the province to meet artists, a fascinating process for Stephen, who recalls meeting artists Karl Spital and Tom Forestell. Stephen and his wife, Pamela Browne Ring, have been ardent supporters of the arts community and patrons of such events as the Saint John Arts Awards and the Community Foundation’s Ovation in 2010. 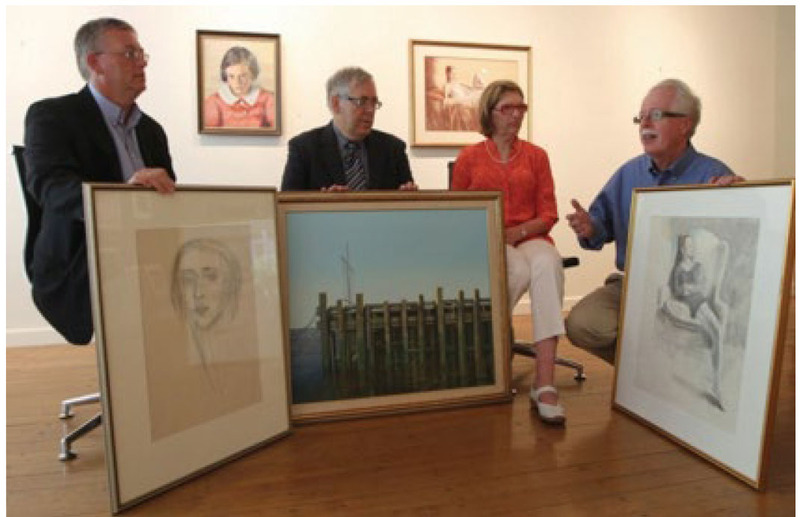 For some time Stephen and Pamela pondered the future of the extensive collection inherited from his parents, recognizing that it would be impossible to retain and display such a large trove of Saint John art. It seemed only natural to share and display the valuable array of works by Saint John artists. With the guidance and expertise of Peter Buckland of Buckland Gallery, an exhibition and sale on October 20, 2011 marked a symbolic “opening of the vaults” on works of art that had not been in the public eye for decades, if ever. Seventy-seven works were offered for sale at the one-time event. Buckland announced that the paintings (oils, acrylic, watercolour, charcoal and prints) would be “sought after, hotly contested” and they were.